I have often met Rotary leaders who have nodded thoughtfully when I have explained the benefits of social media and then said “I will get my PR Director to do that”. Although it is important to have division of labour and leaders with the right skills concentrating on the right tasks, social media doesn’t work if it is the sole responsibility of one person alone. In order for something to be social, more than one person has to participate. Of course, not everyone has the confidence to be the main content creator and it is important that the person responsible for managing the club or district pages is able to create the right tone and use their creativity to attract the public’s attention. It can be a very lonely task, however, if that creativity goes unnoticed and unsupported by fellow club members. 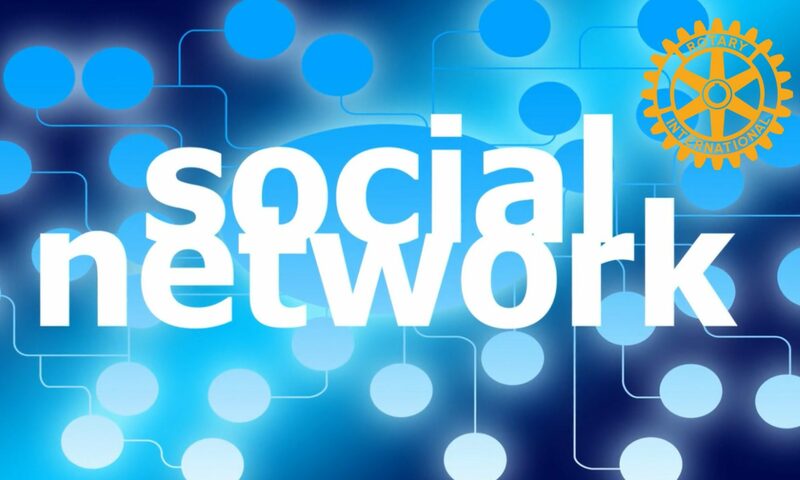 Social media works as a PR tool because likes, shares and comments spread the original message beyond the creators own immediate network and into the networks of friend’s friends . If I have 100 friends, and 20 friends like, share, comment on or retweet my post, that will have a greater impact than if only 2 friends did the same. I often use the analogy of stone skimming or stone skipping, where the stone is a post or update and the world wide web is the pond. If a post doesn’t receive any likes, comments, retweets and shares then it drops straight to the bottom of the web, never to be seen again. Each like, comment, retweet and share helps the post to travel just that little bit further and each splash can attract the attention of new people as it makes it’s way across the web. Rotary clubs and districts can make the most of the talents of their enthusiastic and creative marketing/PR Directors by empowering them to be the key content creator, while also ensuring that it is the responsibility of all members to be content sharers. Another example is events. Have you ever walked past an empty restaurant and decided not to go in? The same thing happens for Facebook events- people don’t join events that look empty. If you receive an invitation from your club or district, respond to it. If you can’t attend, invite your other friends before you decline but also leave a short note expressing your regrets and encouraging others to join the fun. To build your confidence in sharing content, log into the system and observe what other people do. Ask questions in the Rotarians on Social Networks member groups (make sure you join at http://rosnf.net first). Keep your comments positive and always apply the four way test. Set yourself a goal of logging in and responding to event invites and sharing club news at least once a week. Or invest in a smartphone so you can do it on the move. Your PR Director will be much happier, but more importantly your network is likely to become more aware of and engaged in your Rotary activities and over the medium to long term this will convert to new members, funds and support.